President Cyril Ramaphosa says the government should move with speed to address the backlogs of infrastructure in the education and health sectors. President Ramaphosa says poor infrastructure impacts negatively on the rights of children. Limpopo is one of the provinces with huge backlogs of schools and health facilities. 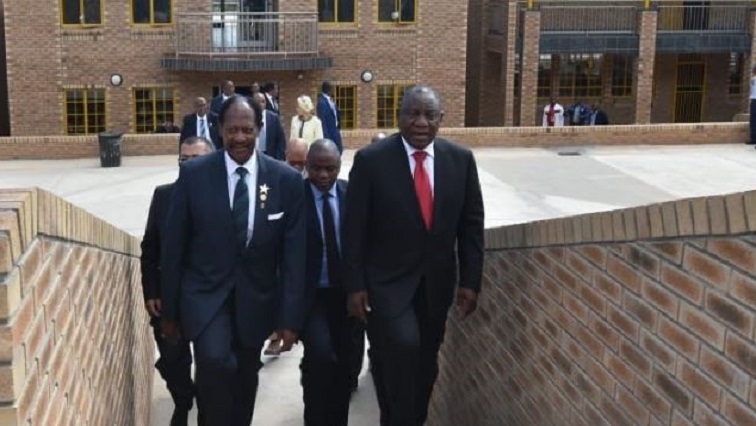 Ramaphosa was speaking during the opening of the refurbished Marobathota High School and Evelyn Lekganyane Clinic at the Zion Christian Church (ZCC) headquarters, Moria, outside Polokwane, in Limpopo. ZCC leader Bishop Barnabas Lekganyane says a lack of skills and corruption hamper development in the country. Bishop Lekganyane has also expressed concern about the high rate of crime and unemployment. The church has spent R54 million to refurbish the school. It accommodates learners from various parts of the country. The post Ramaphosa lauds ZCC, laments infrastructure backlog in education, health appeared first on SABC News – Breaking news, special reports, world, business, sport coverage of all South African current events. Africa's news leader..